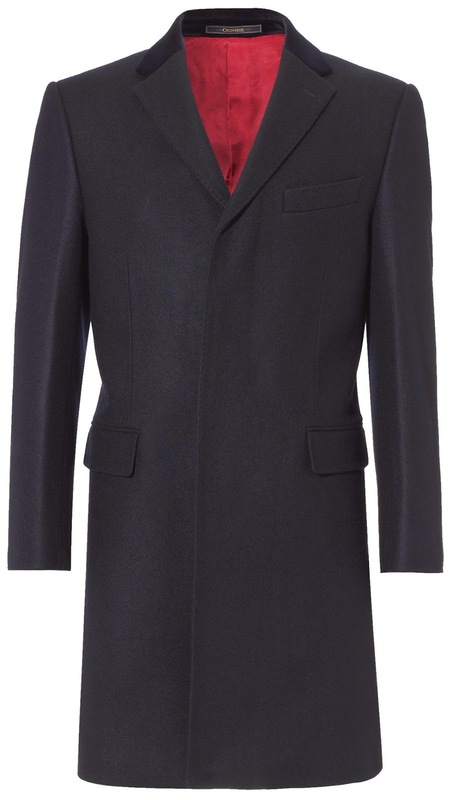 The Crombie style coat worn by the Twelfth Doctor is quite distinctive, yet pretty standard. 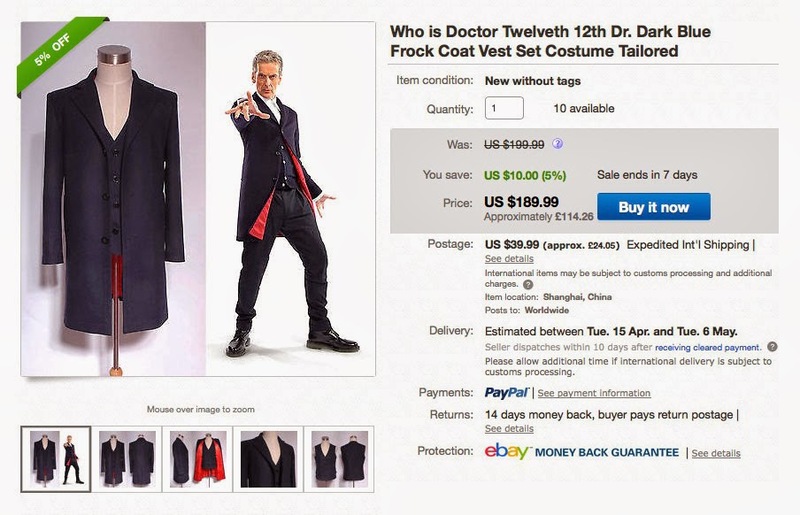 The near £800 price tag attached to the Crombie version makes it prohibitive for many cosplayers, but as ever there are always options. I’ve always thought that this coat is perfect for some of the Far Eastern costume makes to replicate - they just need to get one or two details right. 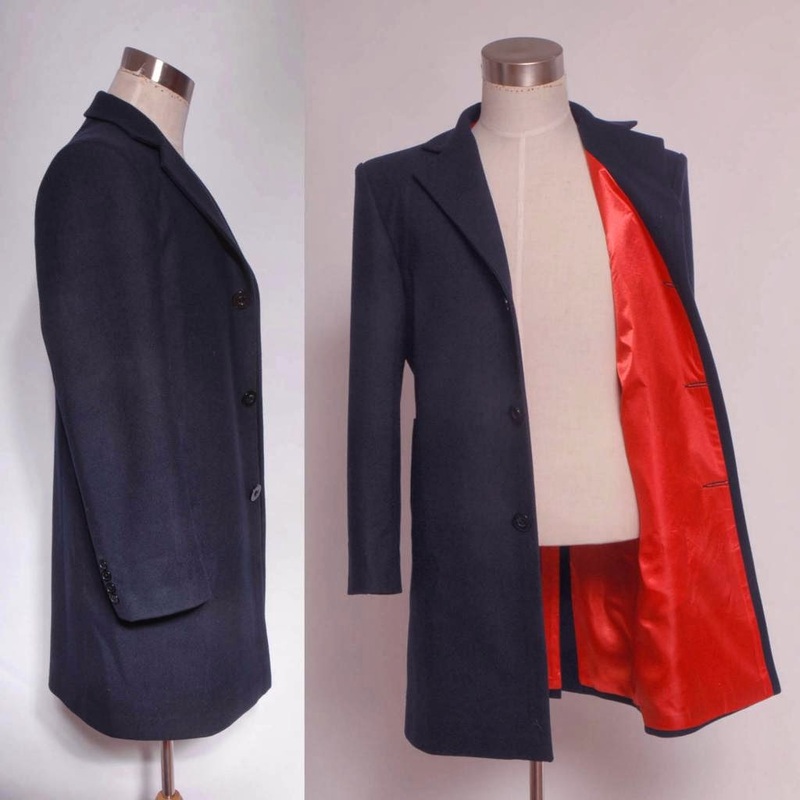 For me the one thing that’s not been nailed by any copy yet is how the red lining comes right to the edge of the coat, such that the buttonholes cut clean through the lining as well. 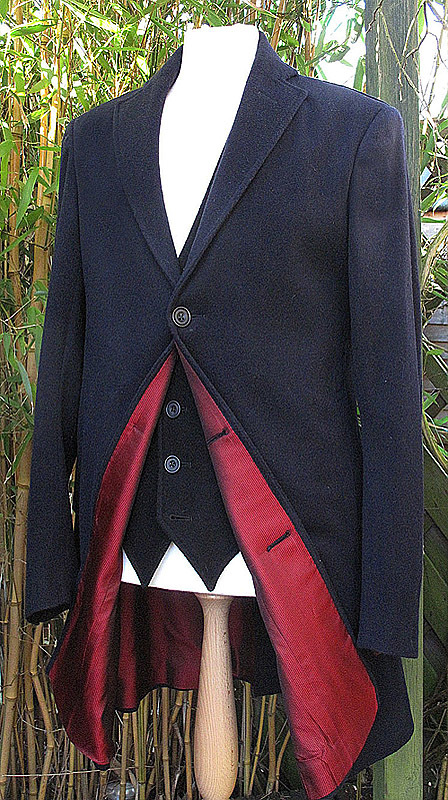 Tssy2005 - who are known for making replica Tennant Coats - has thrown their hat in the ring with the coat and (wait for it) waistcoat. 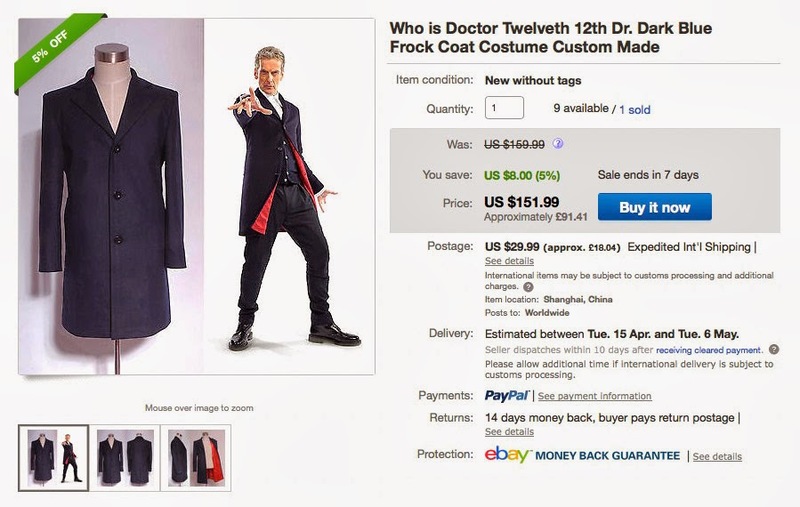 The coat looks not so bad from the front, and has the correct number of buttons. The buttons themselves don’t look too bad either. 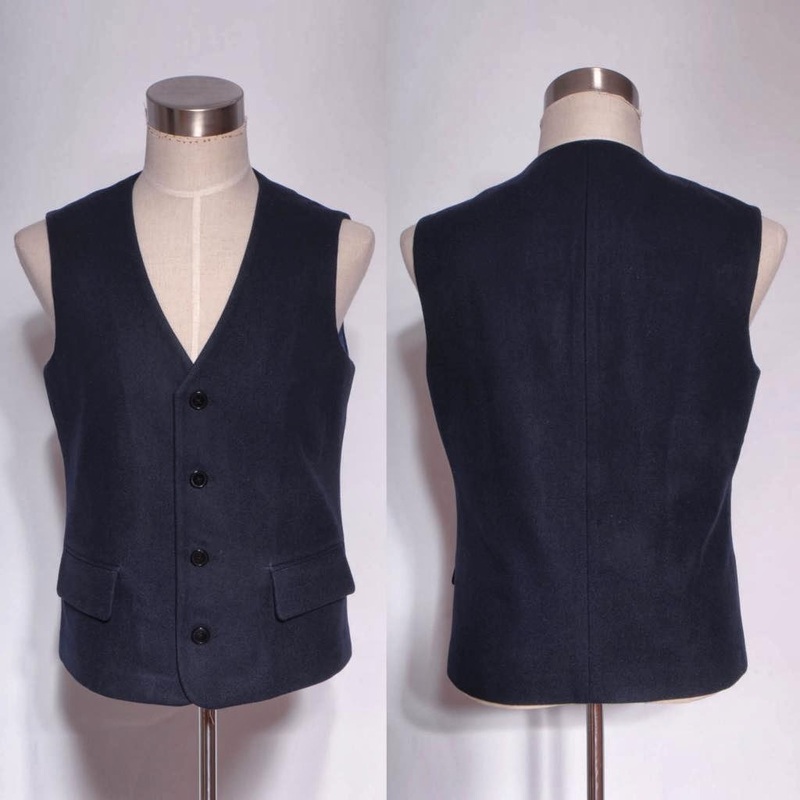 It’s made from a reasonably well matched midnight blue wool. 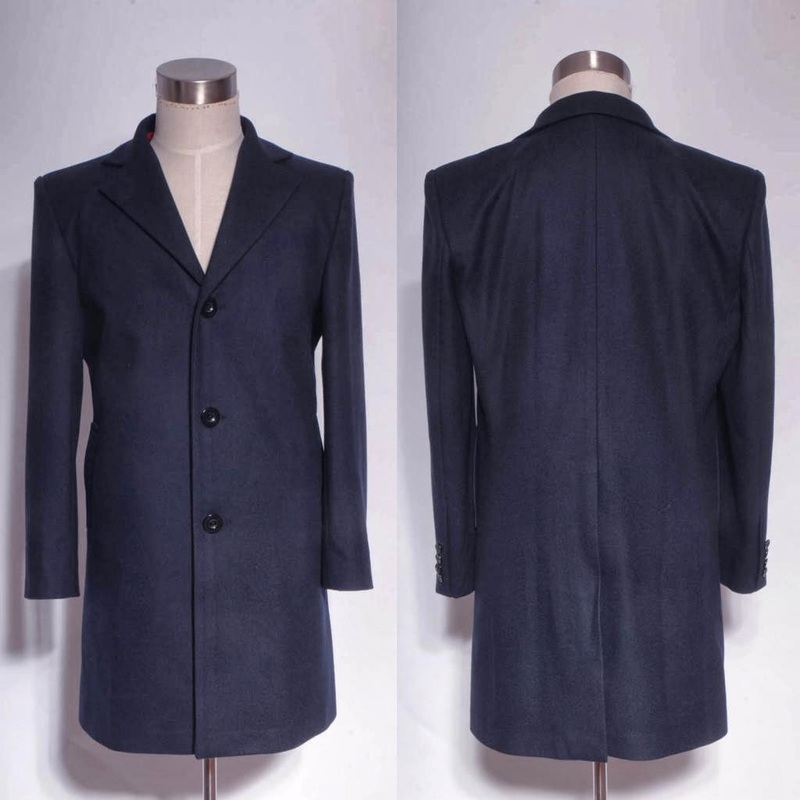 The back of the coat looks a little slack and baggy. The sleeves feel a little large for me. I think Peter wears his a lot slimmer. 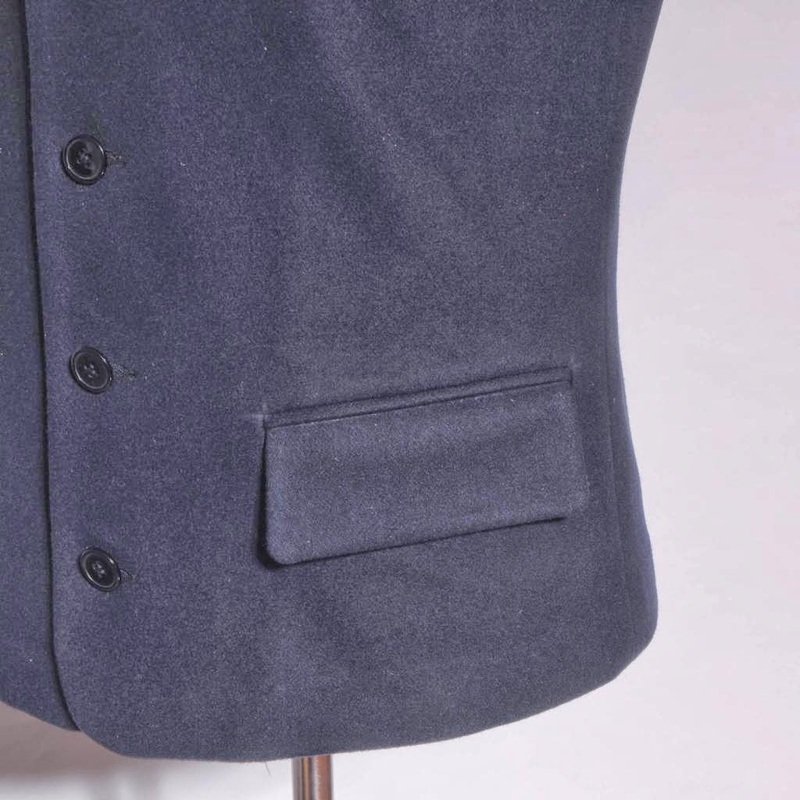 The cuffs look to have four buttons, rather than the correct five. They also look a bit large. The only thing I cannot comment on are the outer pockets, as they are covered by the sleeve. 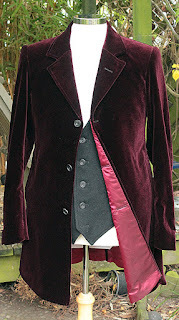 The big tick in the box for me though is the lining, which goes almost to the edge, with the buttonholes cut through. 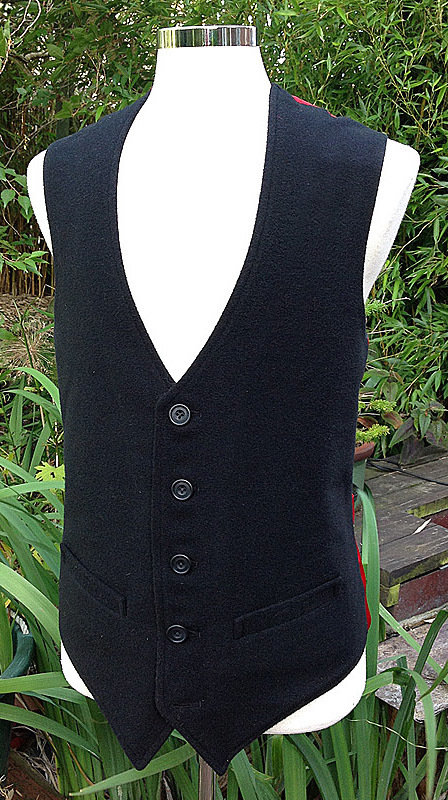 However, the thing that is all a bit weird is tssy2005 has done an interpretation of the cardigan, mistaking it for a waistcoat! It does leave you a little stunned as to how wide of the mark this is. There is nothing to redeem it - other than its a wearable waistcoat for if you had a formal non-Doctor Who event to attend. 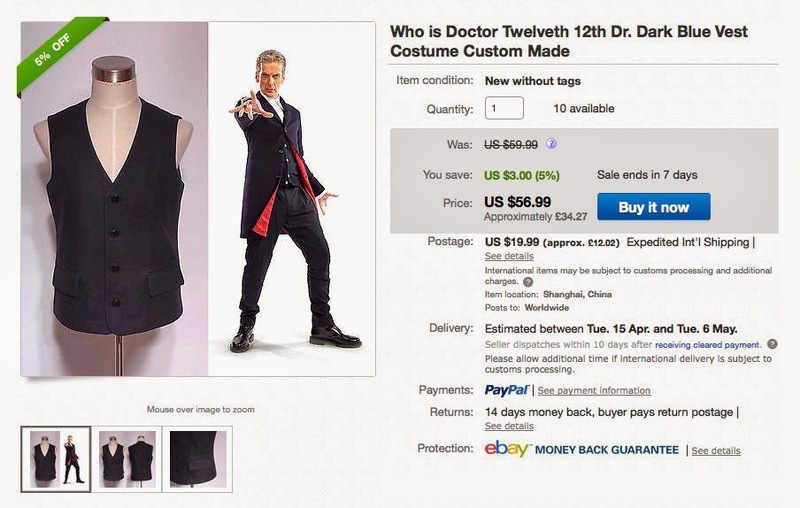 And if you are looking for a bargain, you can buy the coat AND the waistcoat together in one lot. Not sure why you would - but there you go.